Our programmes are designed carefully with our local partners to meet the needs of the beneficiaries and communities through encouraging sports participation. Play for Change works across three continents, improving the lives of children through sport. 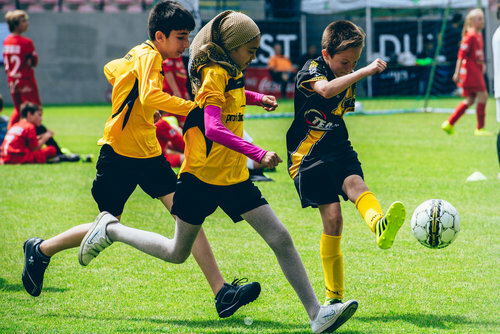 We work with talented and reputable local organisations and charities who share our passion of using "play" and "sport" as a catalyst for social change. Each project brings children and young people together to provide a platform for fun, development of soft skills and economic empowerment in the heart of their communities. Our projects deliver solutions which address social issues, ranging from gender equality, health and well-being, economic empowerment, education and community engagement. Read more about our impacts.